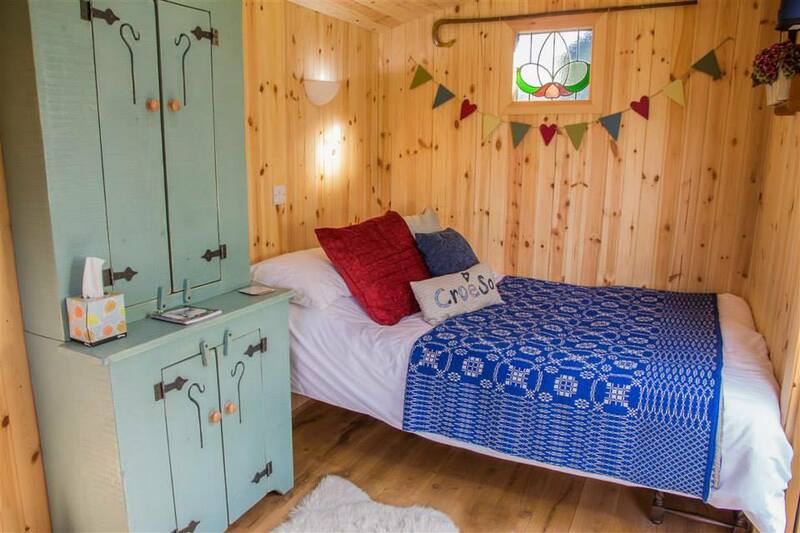 Siabod Huts offer glorious glamping accommodation in Llanrwst, Conwy. Situated in a tranquil location, we boast stunning views over Moel Siabod and the Snowdonia mountain range. Our newly built shepherd huts are on lush farmland, ideal for a peaceful break away. Each hut sleeps up to 2 people but we can provide a put-me-up bed or cot. 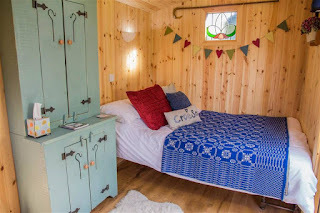 Shepherd Hut 1 comes with a double bed which can be made into a sofa. All bed linen and towels are provided. There is also a foldaway table and chairs and a wood burner to keep you warm and toasty. 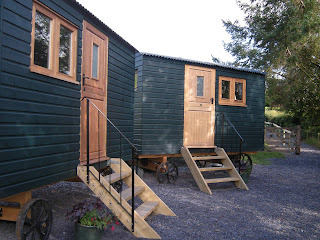 Shepherd hut 2 has a kitchenette/full size shower and separate toilet and sink. A fire pit/BBQ is supplied. A shower is outside the huts. We now have a pod available. Combined with a hut we can accommodate either a family of 4 or 2 couples. The pod comes with a comfy sofa which can be turned into a bed. For families, we have 2 futon beds for children. Breakfast can be delivered to your hut or we can supply you with a breakfast pack for an additional cost.